The high performance hydrolic rubber hose should resist to hydrolic oils and can run at temperature interval from –55 0C to 150 0C. In addition to these properties, for some areas such as mining should also be flame retardant. In this study, compound formulations having properties mentioned above were developped, mechanical properties, hydrolic oil and low, high temperature resistance performances were measured. Flame retardant tests were also been performed. Hoses were built using these newely developped compounds and then their burst tests were performed. The best performer compound for low temeperature performance hose was the one prepared with the blends of acrylonitrile butadiene (NBR), stirene-butadiene (SBR) and cis-butadiene (CBR) rubbers along with plasticizer diisononylphthalate (DINP). One of the compounds preapared with the blending of SBR, NBR rubbers, aluminium hydroxide, tricrezyl phoshate (TCP) and zinc borate was the best for the flame retardant hose. The best performer high temeperature resistant compound was preapred using MT N990 carbonblack and plasticizer paraplex G50 with blending of SBR 1502, NBR 2860 and NBR 3360 rubbers. Y. S. Choi, S. K. Choi, S. C. Moon, and B. Y. Jo, “Halogen-Free flame retarding NBR/GTR foams”, Journal of Industrial and Engineering Chemistry, vol.14, pp. 387-397, 2008. S. C. Moon, B. W. Jo, and R. J. Farris, “Flame resistance and foaming Properties of NBR Compounds with Halojen-Free Flame Retardants,” Polymer Composites, vol. 30, pp. 1732-1742, 2009. M. A. Khattab, “Decabromobiphenyl Oxide -Aluminium Hydroxide System as a Flame Retardant for Styrene-Butadiene Rubber,” Journal of Applied Polymer Science, vol.78, pp. 2134-2139, 2000. 15] S.R. Majumdar, “Oil Hydraulic Systems: Principles and Maintenance,” Tata Mc Graw-Hill, New Delhi. Thirteenth repinting, 2006. T. A. Henry, M. I.Monroe, P. C. Vanriper, and M. I. Holland, United State Patent, Patent no: US 7, 328,725 B2, 2008. J. Parambath, “Industrial hydraulic sys-tems. Theory and Practice,” Revised editi-on. Florida, USA: Universal Publishers, 2016. A. K. Bhowmick, M. M. Hall, and H. A. Benarey, “Rubber Manufacturing Techno-logy”. Marcel Dekker, Inc. 1994. D. Simmons, “High performance environ-ments: The case for polymeric flexible hoses. Rapra Technology Limited, one-day seminar”, Shawbery, UK. 1997. T. Albahri, “Prediction of the aniline point temperature of pure hydrocarbon liquids and their mixtures from molecular struc-ture,” Journal of Molecular Liquids, vol. 174, pp. 80-85, 2012. K. H. Rahiman and G. Unnikrishnan, “The behaviour of Styrene Butadiene Rubber/ Acrylonitrile Butadiene Rubber Blends in the Presence of Chlorinated Hydrocar-bons,” Journal of Polymer Research, vol.13, pp. 297-314, 2006. A. I. Khalaf, A. A. Yehia, M. N. Ismail, and S. H. El-Sabbagh, “High Performance Oil Resistant Rubber,” Open Journal of Organic Polimeric Materials, vol.2, pp. 88-93. 2012. X. Colom, F. Andreu-Mateu, J. F. Canav-ete, R. Mujal, and F. Carillo, “Study of the Influence of IPPD on Thermo-Oxidation Process of Elastomeric Hose,” Journal of Applied Polymer Science, vol. 114, pp. 2011-2018, 2009. R. J. Pazur, and T. A. C. Kennedy, “Effect of Plasticizer Extraction by Jet Fuel on a Nitrile Hose Compound,” Rubber Chemist-ry and Technology, vol. 68, no.2, pp. 324-342, 2015. D.l. Perez, and B. L. Lopez, “Thermal Cha-racterization of SBR/NBR Blends Reinfor-ced with a Mesoporous Silica,” Journal of Applied Polyner Science, DOI 10. 1002/APP.35689, 2012. S. H. Botros, A. F. Moustafa, and S. A. Ibrahim, “Homogeneous Styrene Butadi-ene/ Acrylonitile Butadiene Rubber Blen-ds,” Polymer Plastics Technology and En-gineering, vol.45, pp. 503-512, 2006. 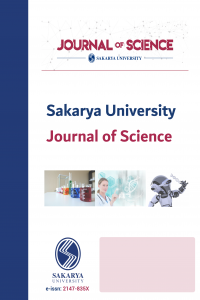 11] M. H. Youssef, “Influence of sulfur content and curing time on the glass transition parameters in SBR vulcanizates: an ultrasonic study,” Polymer Testing, vol.22, pp. 235-242, 2003.